It’s not really much of a mystery why you might want to look like a celebrity—because they step out looking almost flawless with the help of the best wardrobe stylists. Still, this is no reason for someone with a taste for fashion and a shoestring budget to feel that they don’t have a chance of looking remarkably good. Here’s the thing, you can find affordable ways to getting a similar look to the trendsetters and be mistaken for a celebrity, without the price tag. If you admire celebs when it comes to style–from the top of their heads to what they have on their feet–then you probably ask yourself how it’s possible to have that look without spending A-list money for it. The secret to success is actually remarkably simple. It is all about learning what to wear and where to shop. Looking like a celebrity always starts with the shades. You have to get the right shades for that instant transformation you want when it comes to mastering the subtle art of making a distinct impression without saying a word. Celebrity sunglasses change so quickly, even from one season to the next, that it can be hard to keep up with all the latest trends. Fortunately, there are websites like Privé Revaux that not only show you the current rage but also allow you to buy them at affordable prices. With so many wonderful frames and exquisite shades now available, you’ll definitely stand out from the crowd. Although it’s 2018, many of the hairstyles popularized in the last few years are still going strong. To decide on the best hairstyle for you, all you have to do is glance through media that shows hair trends that were big in 2017. Surfing through a few celebrity-oriented blogs or flipping through a few magazines, you’ll be able to decide what cut, color, and style you want to try. You can always switch it up if things change later on this year. Your regular hairdresser will probably be able to recreate the look. If they feel they aren’t able to meet your expectations, they might be able to recommend a more experienced colleague who can pull it off. It’s still a good time to adopt a scarf… because we are still in the season for scarves. The nice thing about scarves is that neither age nor gender makes any difference at all when it comes to choosing the color and style you like. Another nice thing about scarves is that they never appear to go out of style. They always seem to work well by amplifying your current wardrobe selection. Speaking of celebrity accessories, you should also shop for the trendiest bags, belts, shoes, and jewelry to complete the look you’re after. There are many cutting-edge tips available in the fashion media right now that can help you shop for the essential accessories you need and match them up with your favorite outfits. So, how do you get that celebrity look when it comes to outfits? It’s all about how you put things together. Use high-end accessories with simple outfits. The use of one, or at the most two, top-of-the-line accessories will make any outfit look good. For instance, a Baby Blue Charlotte Simone Bon-Bon Shearling Shoulder Bag, which sells for about $245, will make any outfit look far more expensive than its actual price tag. Contrast a structured top look with a more casual piece. For instance, if you button up or zip up your jacket and wear free-flowing pants or skirts, it will create that sharp contrast. Wear a longer top layer over your pants or dress. This is one of Amal Clooney’s favorite outfit ideas, which you’ll now begin to notice when you see pics of her. 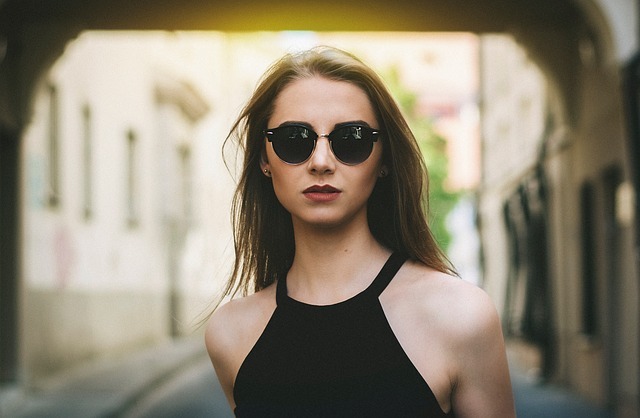 If you’re on a quest, a mission, if you will, to figure out just how celebrities always manage to look so cool and camera ready, the following tips will have made it much easier to get that celebrity look without the price tag.